Protect yourself from the elements with this Guide Gear® Balaclava. Wear it as a neck gaiter, around your face for added coverage on colder days, or as a hat. 92/8 polyester/spandex fabric blend with flatlock stitching that's smooth against the skin. In Realtree Xtra® camo pattern. 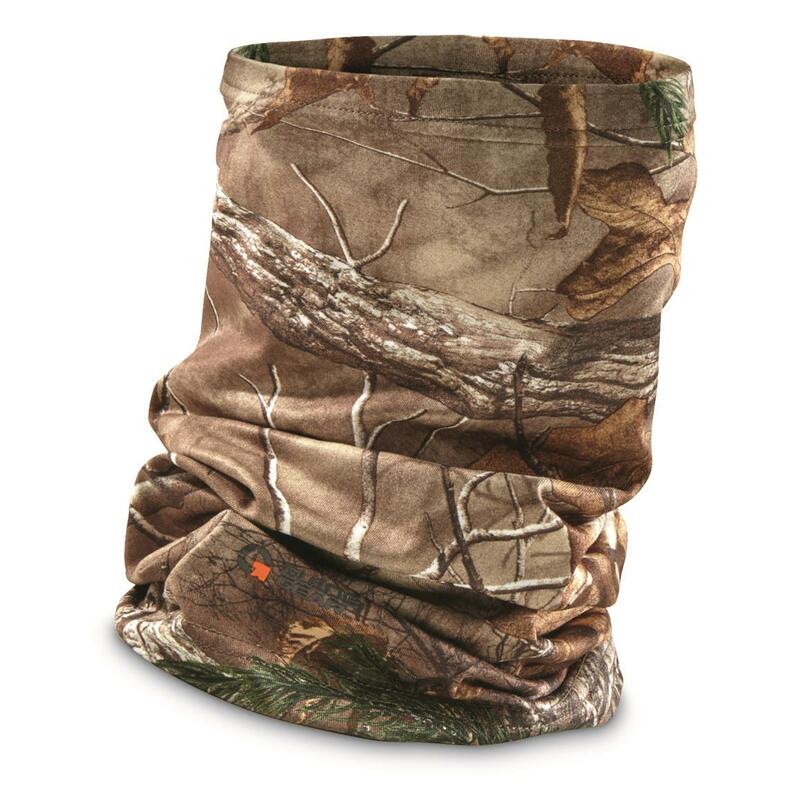 Guide Gear Convertible Balaclava is rated 5.0 out of 5 by 1. Rated 5 out of 5 by pdc6437 from Great value! Light and breathable material makes an excellent layer. Very versatile. I have several from various manufacturers, this one is longer than most competitors. Great product!